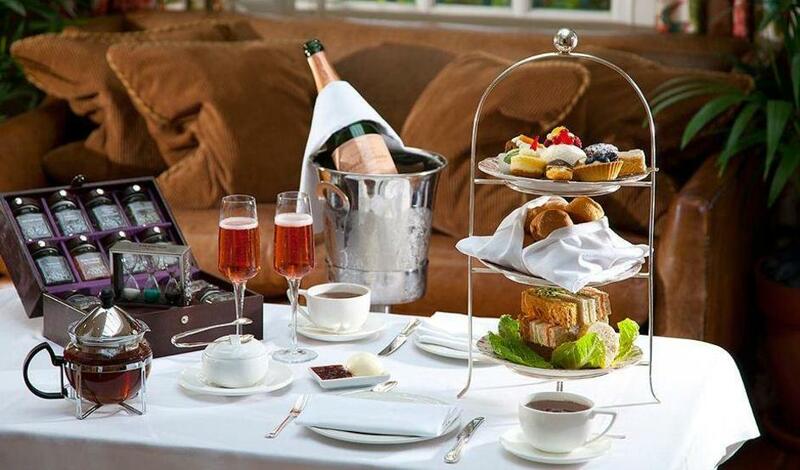 Afternoon Tea is served from 12:00 to 18:00. Enjoy 25% off. The discount is on the food only. Drinks will be charged at the standard rate. One of Bloomsbury's best kept secrets, the Conservatory at The Montague hotel offers the chance to relax in stylish surroundings. Overlooking the hotel's private gardens, the Conservatory is a light and airy space, decorated in chic, contemporary colours. Between 12pm and 6pm, you can enjoy one of the choices of afternoon tea, including a selection of sandwiches, fresh scones, clotted cream, home-made jam, a glass of champagne, cupcakes, mini-milkshakes, smoothies, sorbets, pastries - and of course: tea! The Montague is also a member of the Tea Council Guild of Teashops, offering both traditional and exotic infusions. It will cost around £25 per head to treat yourself here - but it will be well worth it! Afternoon Tea at The Montague gyms, sporting activities, health & beauty and fitness. The best pubs near London Afternoon Tea at The Montague. Afternoon Tea at The Montague clubs, bars, cabaret nights, casinos and interesting nightlife. Where to have your meeting, conference, exhibition, private dining or training course near Afternoon Tea at The Montague. From cheap budget hotels to luxury 5 star hotels see our discounts for Afternoon Tea at The Montague hotels, including Grange White Hall Hotel London from 84% off.